Who is this Sudanese woman being called 'Statue of Liberty'? Dubai: A Sudanese woman garbed in her white "thobe", and wearing circular gold earrings has taken social media by storm. 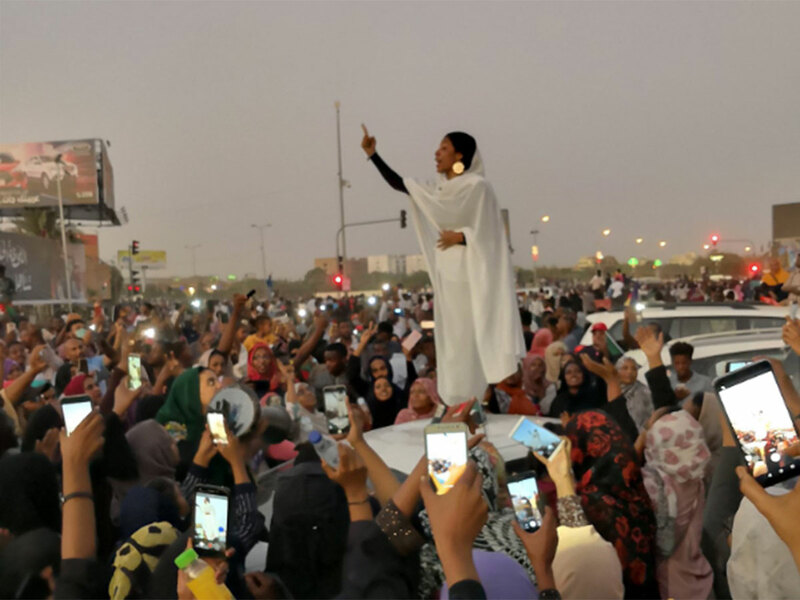 She was seen in videos mounted on car rooftops and on a stage chanting slogans and signing traditional songs calling for change in Sudan. The woman, whose name has not been identified, is being called by some on twitter the "statue of liberty". Her white traditional "thobe" is worn by working women in offices. But other Sudanese are referring to her as "Kandaka," which means a Nubian queen. Sudan was once known as The kingdom of Kush, an ancient Nubian state on the Nile. The Nubians valued women, and women often ruled on their own and, as queens, were called Kandakes. A very famous Kandake was "Candace" of Meroe. She was the queen of Nubia at the time of the conquests of Alexander the Great. Candace's gift to her Sudanese descendants is a legacy of empowered women who fight hard for their country and their rights. One of the videos shows the anonymous woman singing: "My people want," and the demonstrators chanted "revolution" after her. Also in the same song, she is heard singing to Sudanese women joining the protests calling them "my beloved Kandake". Protests against Omar Al Bashir started in December, when the Sudanese government announced a cut on bread and fuel subsidies. People took to streets and demonstrations had erupting, getting bigger by the day over detoriaritng living standards. The protests quickly widened to demands for the removal of President Omar Al Bashir, in charge for nearly 30 years, and his government.